The sounds of Suzy Poling’s project Pod Blotz are mutable, melding electronics, modular synth recordings, vocals, tape manipulations, and rhythm, but they’re only half the story. Poling’s artistic impulse started long before she began recording music, largely thanks to her clairvoyant sculptor mother and precocious photography classes in junior high and high school. Photography didn’t stop and start with the camera lens, though, and early on, Poling gravitated towards photograms—a photographic image made without a camera by placing objects onto light-sensitive material—hunching over in darkrooms for hours at a time. It wasn’t until Poling moved to Chicago to study at Columbia College that she began to record music. According to her website, Pod Blotz “began in a secret room inside of the Congress Theater (Chicago) in 2002.” Her first self-released CD Black Vapor came out that year, featuring 15 untitled tracks of noisy industrial music. 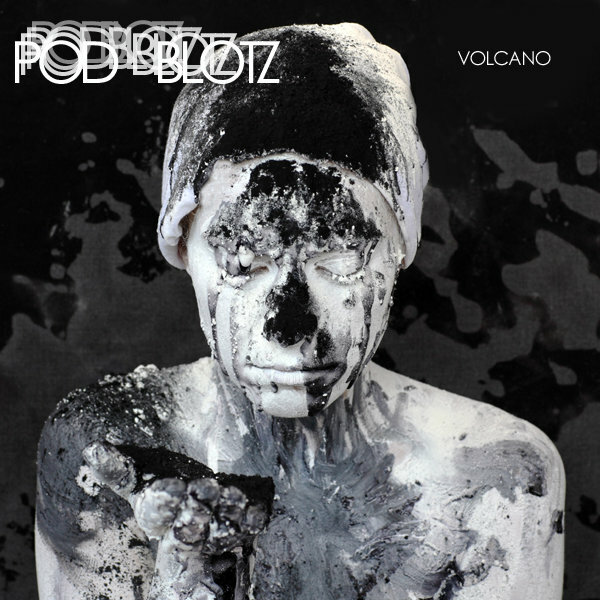 Since then, Pod Blotz has had dozens of releases, both self-released and on labels like Nihilist, Nostilevo, and Barcelona’s Conjunto Vacio. Frequently, they come with zines and other tactile—often handmade—artifacts. As the project developed, so have Poling’s recording and production skills, though she leaves the mastering to others. “The thing that hasn’t changed is that I still run a lot of my sound through tape machines and reel-to-reel to contort the textures or alter the time signature,” she says. Poling explains that Pod Blotz, and her work in general, “has always been about futuristic experiences, the beauty [of] life and death… and a transference of the physical and non-physical.” There’s a synthesis of the real and the unreal, especially when it comes to her visual art—her body becomes a sculpture, scraps of metal become pieces of her “self,” and outside artists are incorporated into performance. A handcrafted roll of metal might spool around her body during a show. Mirrors, canvases, and projections may be used to modify light and atmosphere. Masks and facial distortions are frequent. She’s a lucid dreamer and underwent spinal surgery while still in Michigan, and both of these body experiences have shaped her art, as has her lifelong love for science fiction. Poling takes a hands-on approach to temporality—she foregoes period pieces and zeitgeist to craft something true to her personhood. Poling does not simply rotate home bases, but seems to be touring at least a couple times each year—to be on the road is to be consistently in flux, inhabiting liminal spaces. Her visuals are constantly changing, too—touring for Poling means new prints, bags, shirts, props, and effects. She creates all her merch by hand, getting screens burned near her house in downtown Los Angeles, printing and painting in her art studio outside the garment district. Poling says her new four-song EP, Light Mass Body, for the L.A. label Difficult Interactions, is a release about love; she calls it “probably [her] favorite recordings to date.” It’s a battering ram of a record, with crisp production and massive sound. Poling’s vocals are intense—they pierce through heavy industrial maelstroms with clarity intact. Paired with the album’s cyborgian psychedelic artwork, the scale of sound on Light Mass Body shows Poling reaching new artistic heights, which will surely lead to appropriately special live props, and transcendent tours. Few artists can say “long live the new flesh” as genuinely.